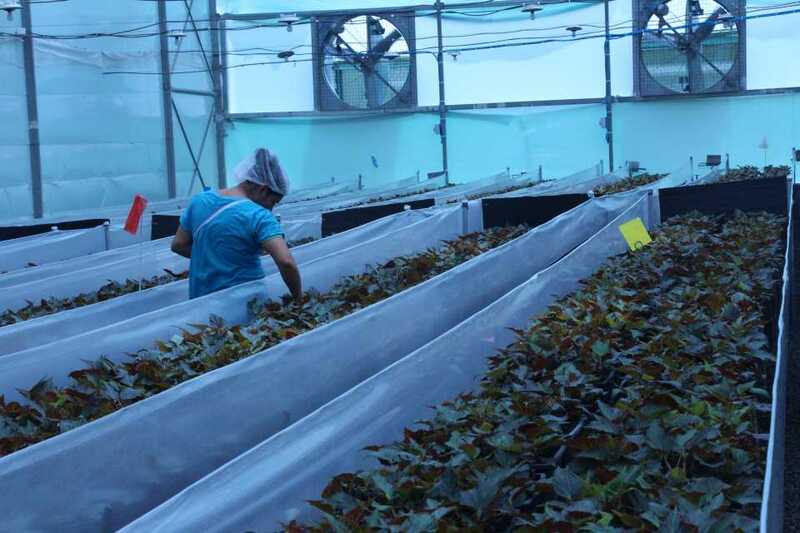 Bioassay assessment for 1.2 million cuttings to build clean stock for begonia production is a novel method in ornamentals production that has been a significant investment for Dümmen Orange in its efforts to eliminate Xanthomonas disease issues. All photos by Laura Drotleff. After experiencing issues with Xanthamonas in 2017 that affected the begonia supply in the North American market, Dümmen Orange has deeply invested in new disease-reducing production methods. 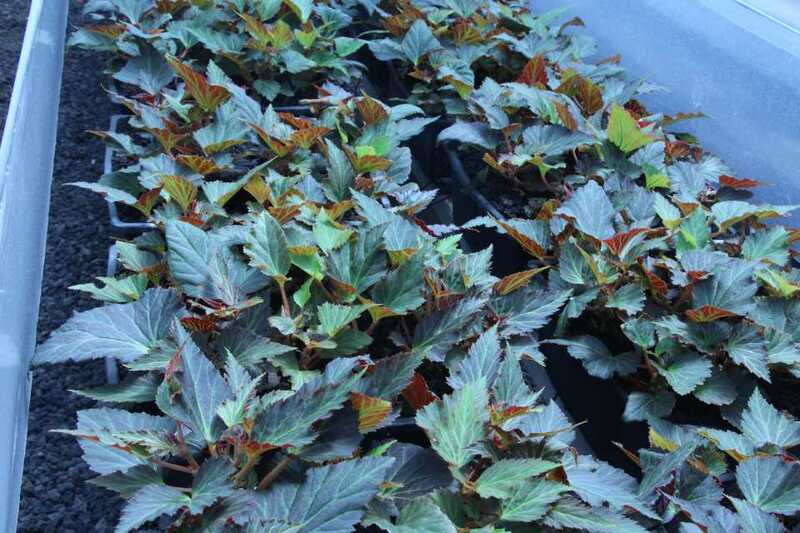 Recent efforts have focused on defining and implementing improvements to ensure a reliable, quality supply of begonia cuttings for spring 2019. In late September, a group of industry members visited the Dümmen Orange Las Mercedes production farm in El Salvador to observe the company’s recent begonia production stock improvements. Hosted by the Dümmen Orange Greencare Phytosanitary team, the group included root-and-sell operations, brokers, finished growers. The growers invited were all deemed begonia specialists and had experienced significant setbacks due to the Xanthomonas issue. During the visit, Dümmen Orange highlighted the time and work it had put in to address the Xanthomonas issue and reduce the potential for any additional disease problems. Olivier Aretz, Managing Director of Teams and Strategy and the Dümmen Orange board member responsible for product use, assured visitors that the company is working to improve crop cleanliness. The proof of its improvements to the begonia stock production, Aretz said, will be seen in the quality of the crop following the improvements, and Dümmen Orange’s transparency about its phytosanitary and infrastructure changes to reduce disease issues. Nikola Kuehr, Phytosanitary Officer within the Dümmen Orange Greencare team, walked the visitors through what happened, why Xanthomonas was an issue, and the improvements made for clean production. The Greencare team is the organization’s phytosanitary division focusing on plant health and sanitation within Dümmen Orange farms. The group is dedicated to producing healthy, high-quality plants, and works together to develop solutions and protocol to address and prevent pest and disease issues. 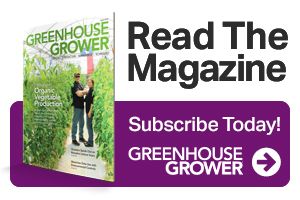 Symptomatic plants were detected in the greenhouses after heavy rain caused crowded gutters at the facility, Kuehr said. Shortly before the symptomatic plants emerged, cuttings were harvested for production stock and allocated to their designated rooting area. By the time symptoms were expressed, Dümmen Orange had already started harvesting for production stock. The first peak of infected plants in new planted lots showed up after four to six weeks, and 2% of the plants were symptomatic within six weeks. After the peak of disease expression, there was a decrease in the number of symptomatic plants in the first 10 weeks, and in some weeks, many areas were disease-free. There was an even distribution of symptomatic plants in all Elatior greenhouses and varieties. The I’Conia begonia line was not affected by Xanthomonas. 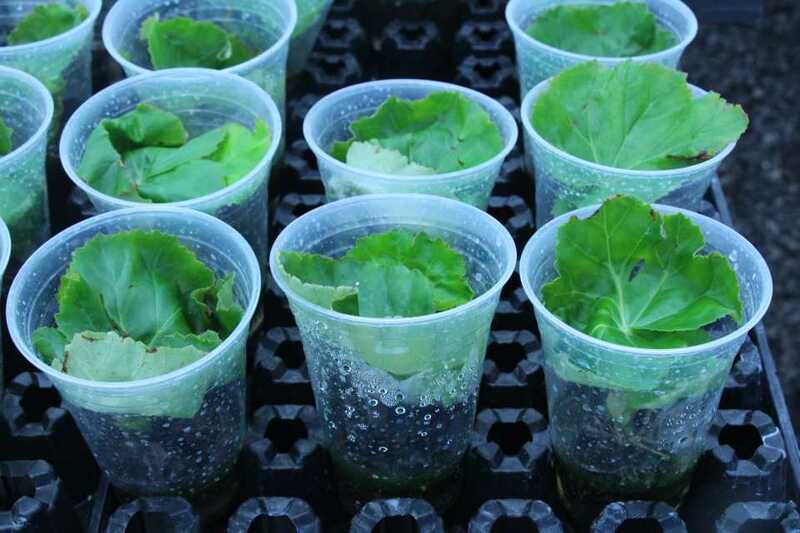 Bioassay assessments screen each cutting before it becomes a mother plant for begonia cutting production. Kuehr said Xanthomonas occurred due to conditions that resulted in a plant disease triangle: pathogen presence, a primed host, and a favorable environment. With just one or two of these elements, the disease wouldn’t have taken hold, she said. But, with all three, it was the perfect storm. There were two possible root causes: The disease was latently present and due to climate conditions the infection became visible; or there was undetected contamination in the first wave of symptomatic plants. When a pathogen is found, Greencare implements an incident plan that prevents shipping of infected material and guides how to clean up the stock, including extra hygiene measures, intensified scouting, isolation of suspected plants, and strict uprooting measures. Lessons have been learned, and production processes have been improved to keep begonia production moving forward, Kuehr said. The Greencare team zeroed in on what it missed and the problems that were caused as a result: detecting the original infection too late; transplanting in multiple greenhouses during the incubation period, which further distributed the disease; not uprooting enough plants after the outbreak to contain the disease; and communicating too late to the market, with too few details. The solutions identified include a cleanup and clean build out of stock using bioassay assessments, infrastructure changes, phytosanitary protocol enhancements, establishing a strict uprooting protocol in case of suspected disease, and designating a dedicated product specialist to communicate with the market. The greenhouses at Las Mercedes in El Salvador are more like laboratories with the Dümmen Orange Greencare Phytosanitary team’s new bioassay assessments for screening 1.2 begonia cuttings for Xanthamonas before they become mother stock plants. The Greencare team wanted its approach to eradicate Xanthomonas to cover both potential root causes for the Xanthomonas infection, so it developed a robust entrance test for new stock build up that would guarantee disease-free material. The entrance test includes evaluation of each single cutting entering the greenhouse. The cuttings need to prove their health status and live through the test to stay active for stock build up. To do this, the Dümmen Orange Greencare team used bioassay assessment for screening each cutting used for elite or mother stock build up. The bioassay assessment method has not been used much, if at all, in ornamentals production. The process requires the 1.2 million cuttings to be assayed for an eight-week period prior to introduction into the stock facility. 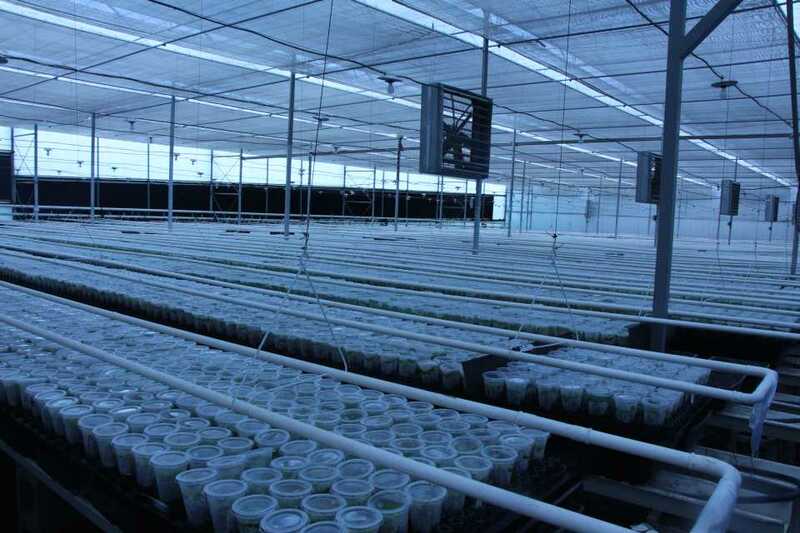 The team created the smallest possible phytosanitary unit, and subjected cuttings to high-temperature stress, increased humidity, poorly ventilated conditions, and a disease incubation time of five to seven weeks. The objective was to provoke the bacterium and trigger any infected plants to express symptoms, which show up as water-soaked lesions. Samples were taken and tested in a destructive manner after visual evaluation, by plating out cuttings in the lab and growing colonies for proof of concept. 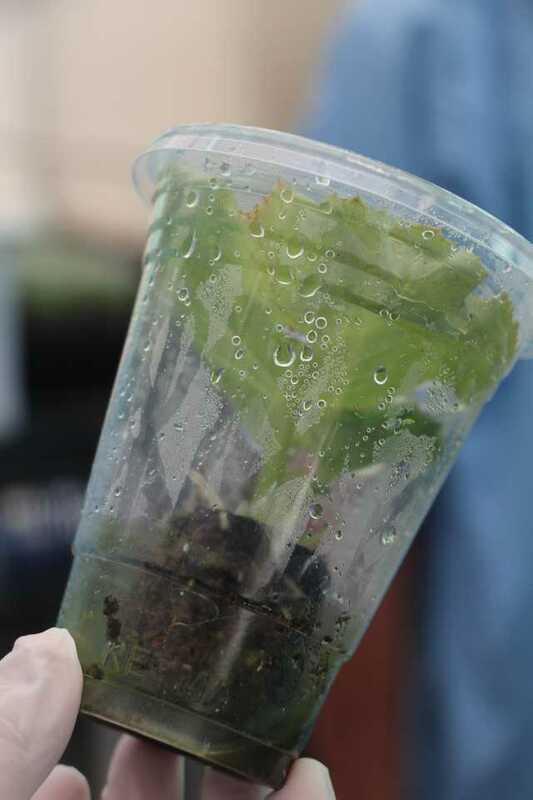 Through propagation, rooted cuttings were kept separate in plastic cups until they were ready to be hardened in the greenhouse for build-up as a mother plant under the Greencare team’s scaled up production protocol. In addition to investing in and adopting the bioassay assessment method, Dümmen Orange implemented a number of new measures to enhance its begonia program through improvements to infrastructure, sanitation protocol, and communication. Daily scouting of mother stock plants is a big part of the Dümmen Orange Las Mercedes farm’s new protocols for growing clean begonia stock plants. A number of new phytosanitary measures have been put into place, including plastic separating each bench, and smaller units from which to take cuttings (note black dividers on benches). All begonia growing areas were thoroughly sanitized and all growing media replaced. Gutters have been reinforced with plastic, and plastic partitions installed between rows. 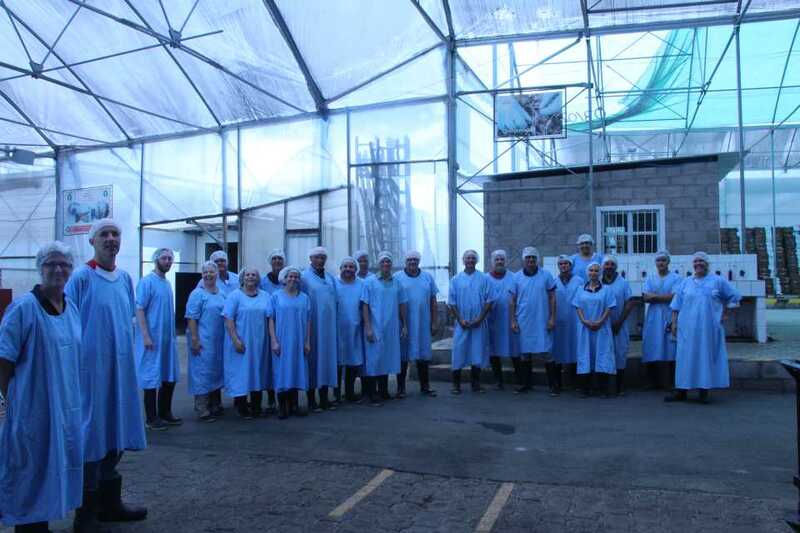 Stock areas were divided into smaller phytosanitary units, with two-step tool sterilization and more frequent, randomized scouting measures in place. Specific tools are designated for and only used in the smaller phytosanitary units, and then cleaned and stored. In the case that a stock plant is symptomatic, the new production protocol dictates the infected pot and the nine neighboring pots are uprooted, irrigation drippers are removed, and media is covered with plastic to eliminate any potential risk of cross-contamination. Dümmen Orange then stops shipment from that unit for six weeks, but may resume after a period of negative scouting. This allows the company to resolve the issue while maintaining availability. A contingency plan defines additional production safety buffers that would allow Dümmen Orange to continue to supply cuttings and a communication strategy to share updates with the market quickly via Dümmen Orange Technical Specialist Diana Shull. Visitors to the Las Mercedes farm evaluated the mother stock plants that will serve as the supply for both Elatior and I’Conia begonia orders for spring 2019. Unrooted cutting shipments of Dümmen Orange begonia began in week 40 for the U.S. and Canadian markets. One of the unexpected benefits of the new bioassay assessment method for screening begonias for Xanthomonas is the unsurpassed crop quality, says Dümmen Orange Global Product Leader for Bed and Balcony Emily Mason. Despite the issues caused by Xanthomonas in the 2017-2018 season, the Dümmen Orange team says it’s important to never waste a crisis. An unexpected benefit, said Global Lead for Bed and Balcony Crops Emily Mason, is that the begonia crops have shown very high quality in robust and vigorous growth due to the attention they have received. Dümmen Orange is not offering its full selection of begonia genetics for the 2018-2019 season, due to the significant investment of time and labor to develop the bioassay assessment and implement improved protocol; however, the company expects the 2019-2020 selections will include its full assortment. In addition to the stock screening, a second round of bioassay is underway that will index all begonia elite stock for 2020 and beyond. The bioassay assessment protocol is the new standard for Dümmen Orange begonia stock plant production at its Las Mercedes farm. Hosted by the Dümmen Orange Greencare Phytosanitary team, the group included root-and-sell operations, brokers, finished growers. Going forward, Dümmen Orange says it plans to communicate its findings on using this production method with other begonia producers in an effort to reduce the possibility of disease, and improve growers’ access to clean stock throughout the industry. Further bioassay assessment may be used to index additional crops. This has all been known since Bob Oglevee pioneered Tissue Cultured Virus indexed geranium production decades ago. It SHOULD HAVE BEEN “Job One” by the venture capitalists that put together Dummen Orange. They didn’t do it because they were “spreadsheet guys” who only looked at quick paybacks on their Financial investment and didn’t pay attention to the experienced Horticulturists who “knew better”. Xanthomonas ( of various species ) has had this effect on the Horticultural industry for many years ( ie. Oglevee, Mikelsen, Ecke all had experience with it and “learned the hard way” how extensive the effort$ were needed to minimize the risk to their Customers ) – Other companies thought they could be “less stringent” in their effort$ and were a continuing source of problem$ for the finish-production segment of the industry. With disease potentials on major crops – especially Bacterial Diseases – there is NO Inexpensive “magic bullet or protocall” – all require constant vigilance. 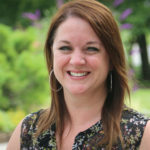 “Bioassay assessment” has always been necessary – the fund$ to do it properly have Not on an on-going basis been supplied when HORTICULTURISTS have had to take a backseat in decision-making to “spreadsheet wizards”.